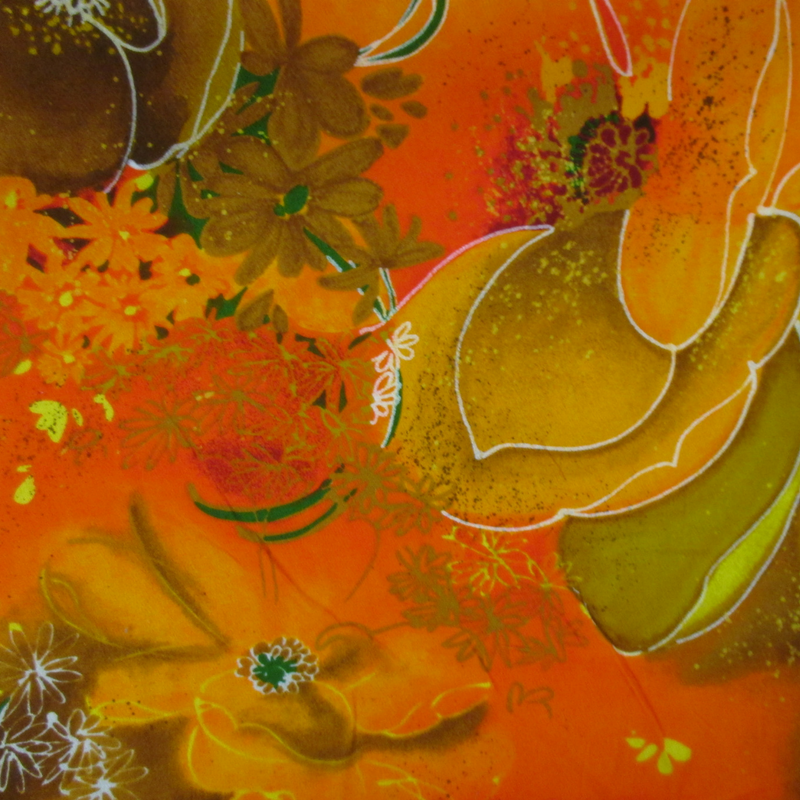 Beautiful floral print in oranges, golds, greens, and yellows! Perfect for fall! This textured fabric is said to be similar to Japanese crepe fabric.